Home > Music > New to DJing? How to Get Started! New to DJing? How to Get Started! If you’re thinking of DJing, and you’re anything like me, it can all seem a bit overwhelming. What equipment should you use? How does everything plug together? What music should you play! How do you find new music? How do you know what will work for dancing and what won’t? How do you know what to play when? What do you do if you play a song and everyone stops dancing? What if…. The list goes on and on… and if you’re worrying about any of this stuff, then good! These are all good questions – just don’t wait until you get all the answers before you begin. Many of the answers come with experience, and that’s the thing you most need. In other words…. You can’t know everything before you start. So… just start. Try a short set at your local scene – something nice and low key, and give it a go! Don’t worry too much about the myriad of complex details – these will come. That said… there’s a few things you’ll need. So here’s some of the bare essentials. So far so simple. Let’s look at these in a little more depth. Again – this is very much a matter of choice – but it’s one you can play around with a little before setting down on what you want to use, and I’d advise you to at least try out a few different options to find something that you personally enjoy working with. Also – use tools that are fit for purpose – in other words, there is a world of difference between DJing software and a straightforward music playing application such as iTunes or Spotify. I use Megaseg, which I’ll talk about in future posts. Other popular players include Mixxx, DJay, and Foobar2000 – that’s a fairly random mix, but it’s worth playing with a few different ones to get a feel for how they work. Mixxx and Foobar are freebies, and most others have demos that you can play with. You’re also going to need something that lets you determine the speed (BPM – Beats Per Minute) of each track. Some pieces of DJing software will help with this, although beware of any that try to do it automatically – they’ll work well for thud-thud-thud club music, but the subtleties of swing can defeat them. I use an iTunes plugin which lets me tap out the BPM of a tune – and I can also do the same using Megaseg. I classed these as “optional extras” – but this only holds true until you decide you’re serious about DJing. Then the headphones become essential for most DJs, and the external sound card becomes essential for everyone. In summary – with headphones, you can preview songs while playing, which is a massive help for choosing what to play next… and an external sound card is a) an essential part of this process, and b) can hugely improve the sound quality you get from your laptop. And however good your laptop is, I guarantee that the built-in sound quality isn’t good enough. I’m not going to labour this point any more in here, as I’ve covered it before, and I’ll no doubt be covering it again – so here’s a useful post to read… and let’s move on. The million dollar commodity – and this is a topic which multiple posts on multiple blogs couldn’t even begin to address – although I do try from time to time… but here’s a few small tips on how to start building a good collection. Don’t be impatient to build a huge collection. There can be a huge temptation to add new songs that are maybe kind of OKish just to try and increase your DJing collection because you haven’t got enough songs. I’m still weeding out tracks I added in ten years ago which I added just for that reason. And have never played since. Take it slow. Be selective. It’s better to have a small collection of songs that are all great for dancing, than a huge collection of mixed quality. Get the classics. There’s a reason we dance to so much Basie, Ellington, Chick Webb, Artie Shaw, Cab Calloway, Jimmy Lunceford, Benny Goodman and so on. Even if you don’t (yet) know what that reason is – I certainly didn’t when I started DJing – you need to start exploring the greats. Don’t get too adventurous too soon. Before we can break the rules, we need to know the rules, and we need to respect the rules. 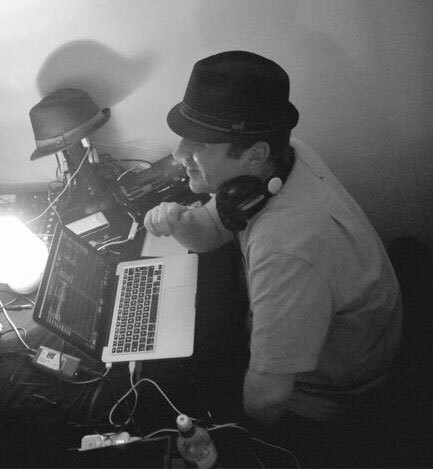 If you read much of this blog, you’ll know my views on the swing dance / swing vs non-swing music debate – and if you’re DJing for swing dances, you have a real responsibility to play music that fits. If you don’t get why the use of swing is important, it’s time to learn. If you don’t believe swing music is important, it could be that you’re learning the wrong dance…. Listen to as much swing as you possibly can. If you want to get good at this, your ears are going to need a regular diet of swing – not just when dancing, but all the time. I’m lucky enough to be able to listen to Spotify at work, but I’ll often listen to stuff on the way to work, at home, in the car…. Really listen to songs. Listen properly. Feel how you respond to songs – do they make you want to dance? Fall asleep? Eat pistachos? What’s the structure of each song? Are there breaks? What instruments really stand out to you? And so on… this helps get you really familiar with your collection, which is going to help when you’re choosing songs. BPM your collection. For Lindy Hop, you are going to need to know the speed of every single song in your DJ collection. Start doing this right away, and do it religiously – do not do what a friend of mine did, and build up a collection of 3000 songs for DJing, then start working out BPMs. It can take months, and it’s very very boring. I’ve talked about this a fair amount on this blog, and in my various presentations… but like many things it can boil down to a few basic principles. Watch the floor. Watch the dancers. Enjoy the dancing. Watch what they’re doing. Watch how they respond to the music. Are they being creative and musical, or are they just plodding along to the beat? Are they bursting with energy, or looking tired? All this is, with experience, going to start feeding into your DJing choices, but to get to the point where this will happen, you need to start watching the floor. Keep things varied. At a swing dance, you’ll generally be playing to a wide range of abilities of dancer, with a wide range of musical styles at your fingertips. Keep it mixed up. You need to provide something for everyone. Try to keep a sense of flow. Not easy to begin with, especially given the apparent contradiction that we want to keep things varied – but I’ve always preferred to keep people on a flowing musical journey, than play a set of disjointed songs. There’s a few different ways people like to do this – but the most common, and my preferred fallback method is to work the wave. That’s a post in itself – expect that one next. On the other hand, it is an amazing kick to be playing for a vibrant dancefloor, and DJing can be an amazing experience, if you let it. So throw caution to the winds, soak up the atmosphere you’re creating, and have fun with it. I’ve tried to keep this fairly light, accessible, and not overwhelm you with too much detail – but I have explored much of this stuff in more depth in previous posts, and in my talks – and do plan on expanding on this in future posts. I’m also aware that not all this advice will be for everyone – much depends on why you’re DJing – whether you just need to play a few songs for some classes or class nights, or whether you want to become a full-blown event DJ. And whichever route you’re planning, it’s hard to take all this at once and run with it – so take it slow. Learn your music. Listen to your collection whenever you can. The more familiar you are with it, the easier DJing will be. Have fun! Yes – I said it before, but it’s probably the most important thing here. So above all, you have to aim to have a blast! When all else is said and done, this is why we do it. Next Post C Jam Blues – and Who Needs a Rhythm Section?